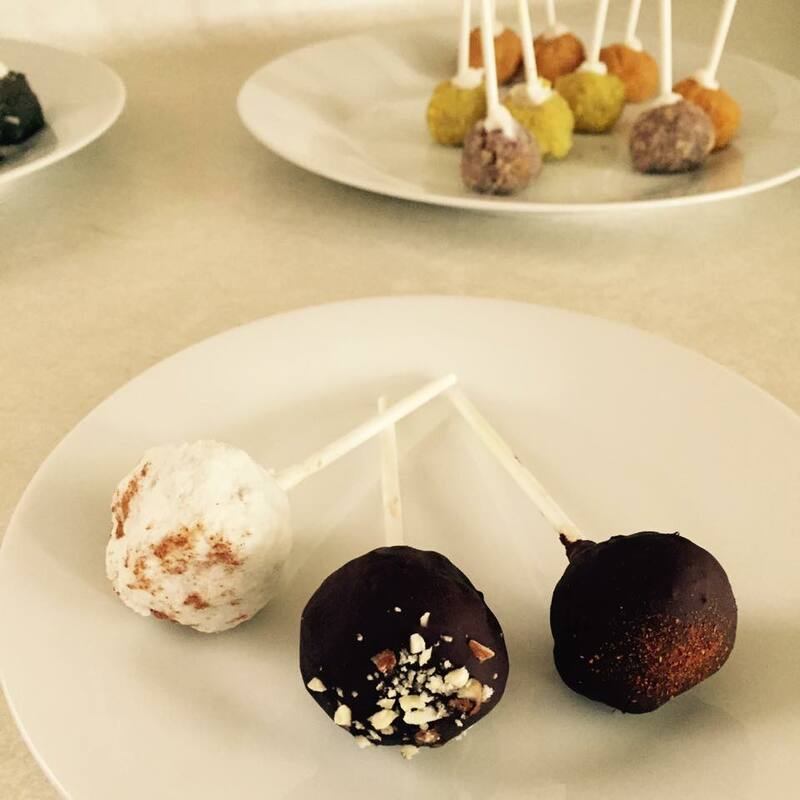 Today, I am sharing a recipe for healthy cake pops. Sounds too good to be true, right? But it is true! 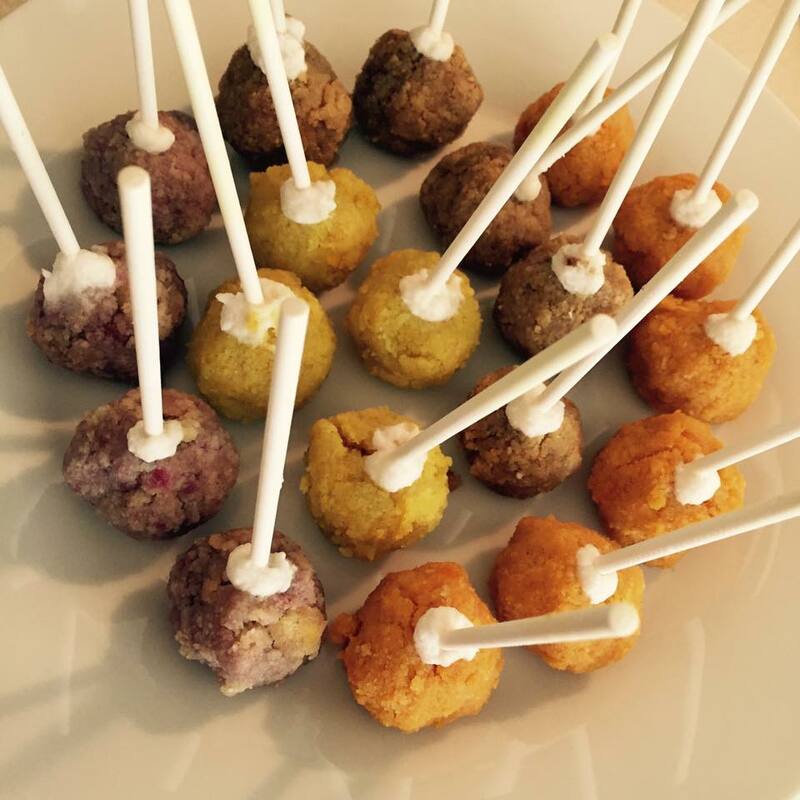 I promise you … these cake pops are actually good for you. They are grain-free, gluten-free, and contain no added sugar. I started by making a coconut flour cake batter. Coconut flour makes wonderfully moist cupcakes, which is why I chose to use coconut flour instead of almond flour when I was determining how I would make these. After mixing together the batter, I divided it between 6 mason jars, so I could add food coloring to each and create an assortment of colors. The food coloring typically found in stores by brands like Wilton and McCormick are made using artificial dyes and preservatives, but natural food stores like Sprouts and Whole Foods Market sell natural, vegetable-derived food coloring. It can also be found online. On a side note, food coloring is completely unnecessary in this recipe and can be omitted if you like. I used it because I had originally planned to make rainbow cake pops, but alas, natural food colors are not as brightly colored as the poisonous competition on the market. The natural food colors did not show well against my yellow cake batter. (The coconut flour batter is yellow.) So the rainbow cake pop experiment was a flop. 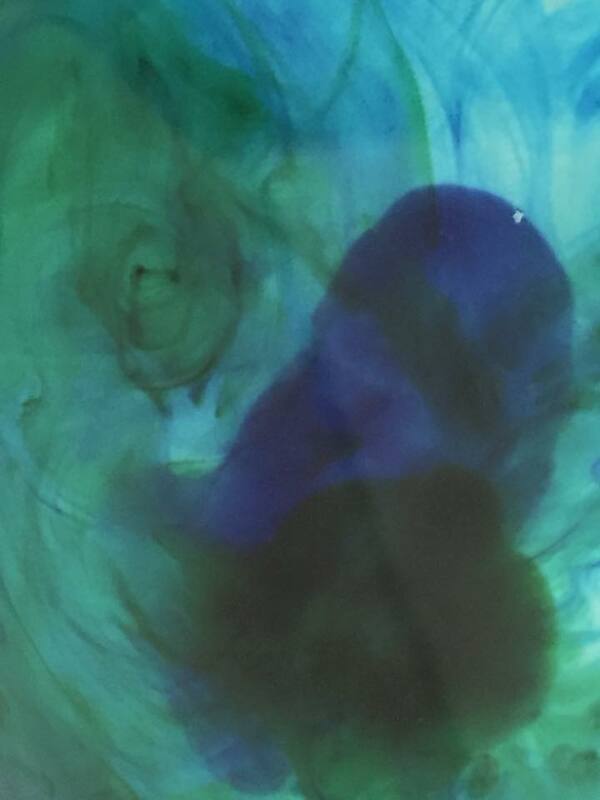 I am not one to accept defeat, so my experiment morphed into a completely different – and yet wonderful – cake pop recipe (that makes the use of food coloring irrelevant). Preheat oven to 350 degrees. Grease cupcake tins (enough for 12 cupcakes). Whisk together coconut oil, xylitol, salt, vanilla extract, eggs, & water. Once mixed, whisk in coconut flour. 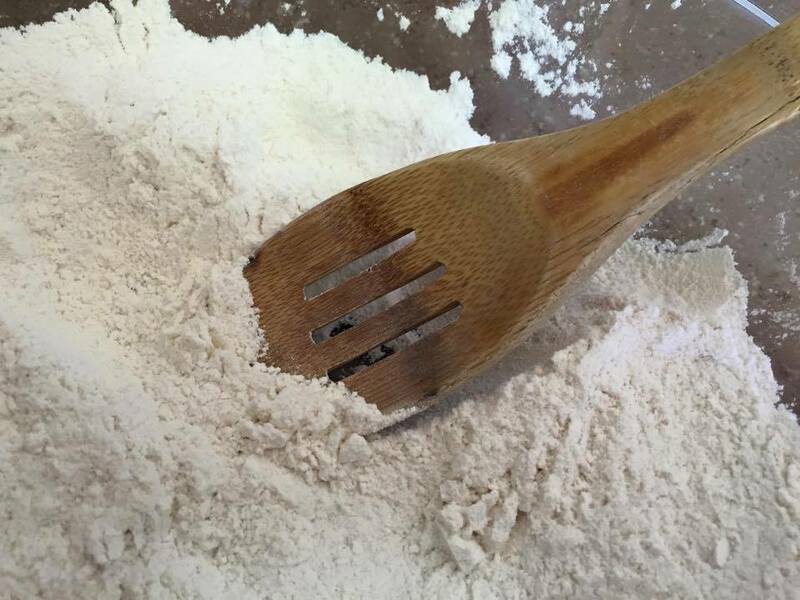 After coconut flour is mixed in, whisk in baking powder. If using food coloring, divide batter into containers and add desired food colors to each. 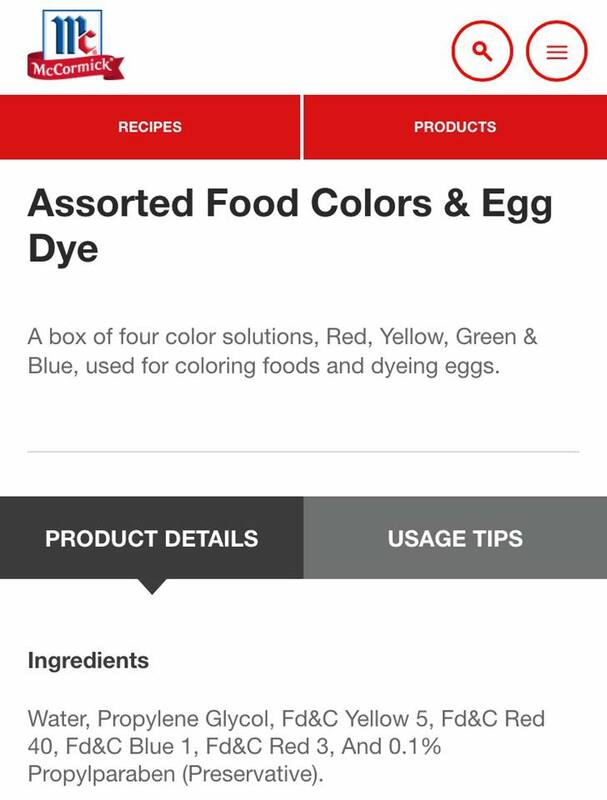 If not using food colors, skip this step. 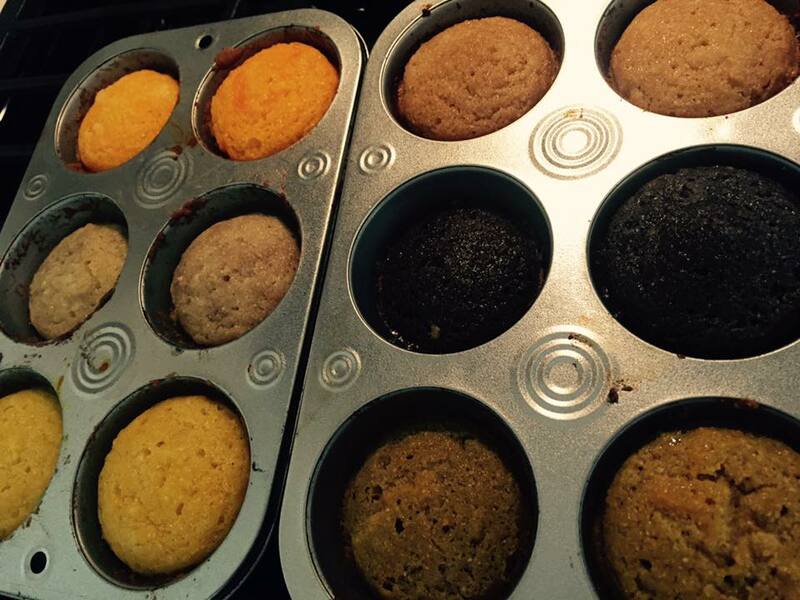 Fill each cupcake space in the cupcake tin ⅔ of the way full. Bake cupcakes approximately 20 mins (start checking on cupcakes after 15 mins). The cupcakes are baked when a toothpick is inserted in the center and comes out clean. Do not let the cupcakes brown. Once the cupcakes have finished baking, it is time to create the cake pops. You will start by crumbling the cupcakes into little pieces. You will want to have a separate dish of cake crumbles for each flavor of cake pop you plan to make. I made 6 cake pop flavors, so I separated my cake crumbles among 6 dishes. After crumbling the cake, I added a variety of mix-ins (primarily fruit). Keep in mind that the amount of fruit you will use in each batch of cake crumbles will vary depending on the amount of cake crumbles you are working with. I separated the cake crumbles from 12 cupcakes into 6 batches, so each batch consisted of 2 crumbled cupcakes. If you make a larger batch, you will want to use more fruit. Example: 6 strawberries for 4 crumbled cupcakes, 18 strawberries for 12 crumbled cupcakes, etc. 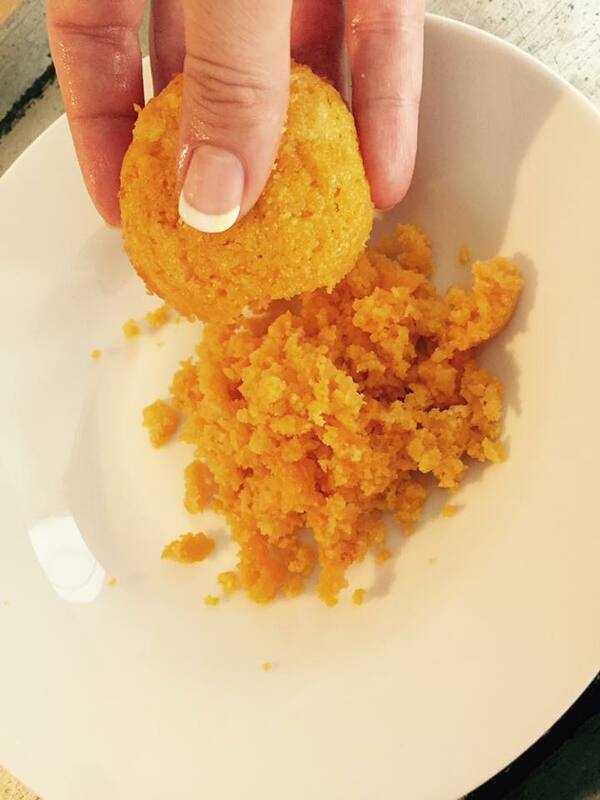 For the cocoa mango cake pops, I grated 1/4 mango. (Yes, it is mushy and messy and prob should have been pureed, but grating it worked fine.) I then mixed the mango in with the cake crumbles. For the banana split cake pops, I cut 2 inches off of a banana and mashed the 2 inch piece. I then added the mashed banana to the cake crumbles. For the double chocolate coconut cake pops, I grated a chocolate bar of 70% cacao. I added 1 Tbsp grated chocolate and 1 Tbsp organic, unsweetened, dried, shredded coconut to the cake crumbles. After adding the mix-ins to the cake crumbles, I formed the cake crumble mixtures into balls that were the size of typical cake pops. I then made vanilla coconut oil frosting using the following ingredients. I whisked the ingredients together. Then I put the mixture in the freezer for 5 minutes, took it out, and used the whisk to whip it. I took a cake pop stick and dipped it into the vanilla frosting and then inserted it into the cake pop. (After the frosting hardens, it helps to hold the stick in place.) After all of the cake balls had sticks, they were placed in the freezer for 20 minutes. While the cake pops set in the freezer, I prepared the chocolate coconut oil frosting. The ingredients were the same as those used in the vanilla frosting except I replaced the coconut flour with organic, unsweetened cocoa powder. Right before removing the cake balls from the freezer, I melted a bar of chocolate (70% cacao). This was used as melted chocolate frosting. Then it was time to cover the cake pops with either melted chocolate or coconut oil frosting and any additional toppings. For the chocolate-covered strawberry cake pops, I dipped the cake pops into melted chocolate. I used a spoon to assist in covering the entire ball with chocolate. (If you attempt to move the cake pop around too much, it will slip off of the stick. It is better set the cake pop into the chocolate sideways and use the spoon to pour the chocolate over the ball of cake.) I then sprinkled crushed raw almonds on top of the chocolate before it hardened. It is a good idea to have something to stick the cake pops into, so they can stand upright. A piece of foam or a container specifically used to hold cake pops would work well. I didn’t plan for this ahead of time, so I ended up dumping flax seeds into bowls and then sticking the cake pop sticks into the bowls of flax seeds. It worked. It held the cake pops upright. I would definitely suggest using something else though. I wasted a lot of flax seeds. I iced the apple pie cake pops with vanilla coconut oil frosting and then sprinkled them with organic cinnamon before the frosting hardened. The spicy chocolate peanut butter cake pops were covered in melted chocolate and then dusted with cayenne pepper. 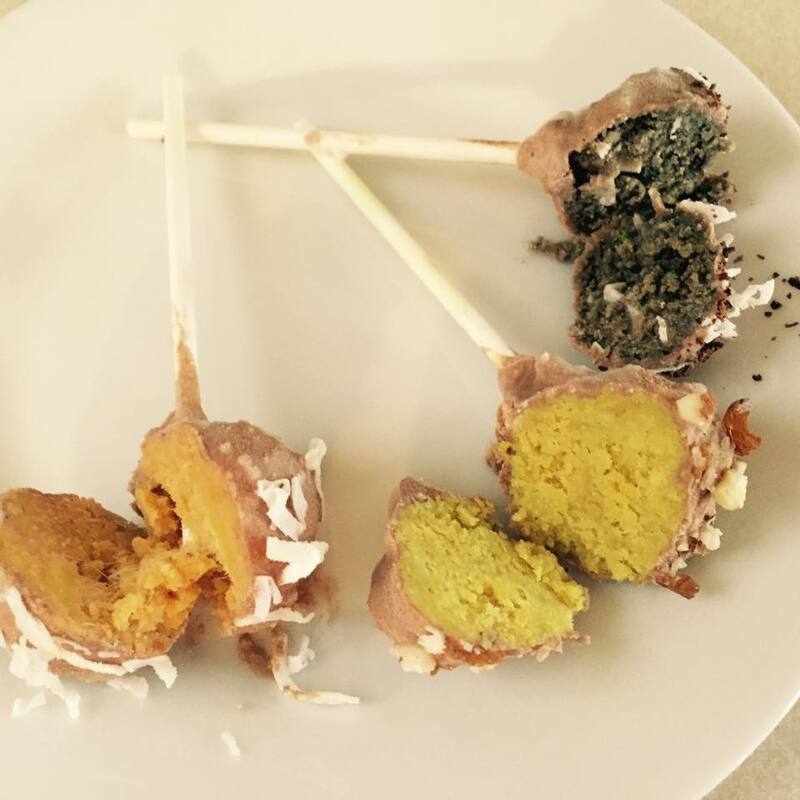 The cocoa mango cake pops were iced with chocolate coconut oil frosting. 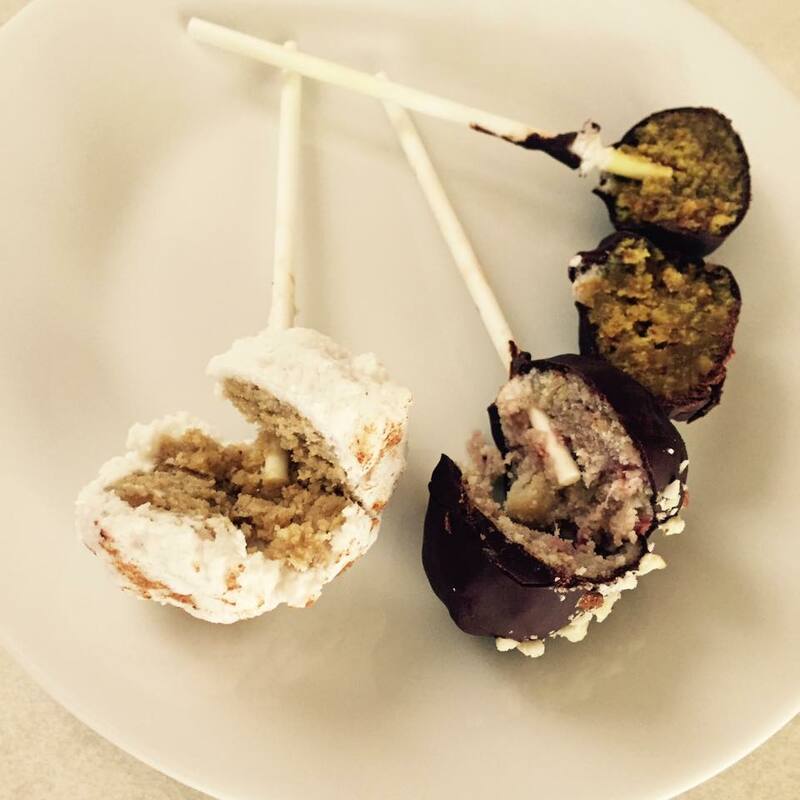 The banana split cake pops were dipped in chocolate coconut oil frosting and then sprinkled with crushed raw almonds. You can use any crushed nut you would like. I just happened to have almonds. 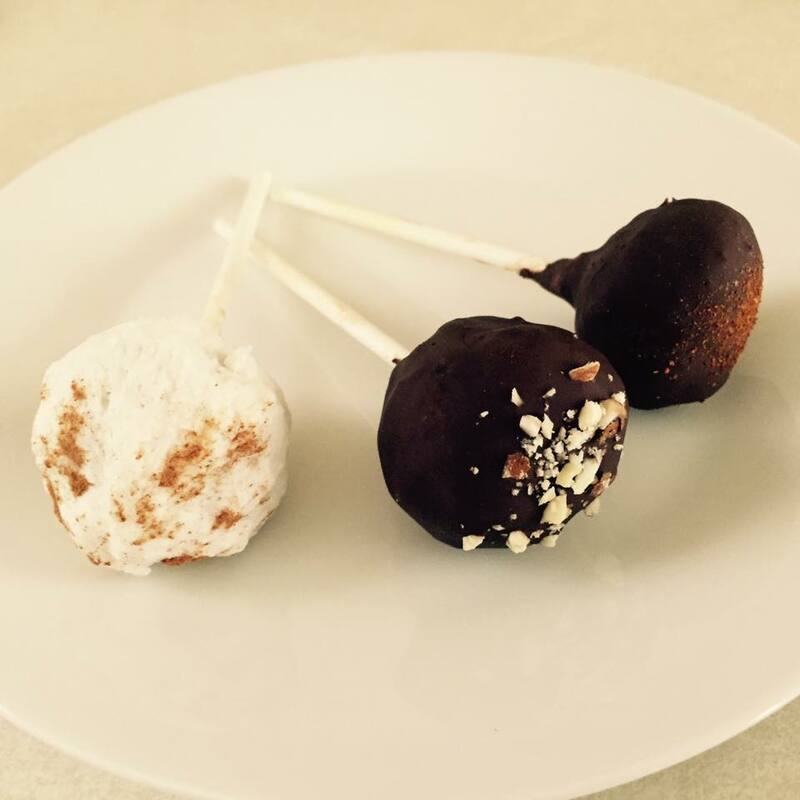 The double chocolate coconut cake pops were iced with chocolate coconut oil frosting and then sprinkled with organic, unsweetened, dried, shredded coconut. All cake pops covered with melted chocolate or vanilla coconut oil frosting must be refrigerated, and all cake pops covered with chocolate coconut oil frosting must be kept frozen. After spending 6 HOURS (!!!) in the kitchen getting the cake and frosting recipes just right, I would recommend using melted chocolate to cover all of the cake pops. It is very difficult to get a frosting with a decent consistency without using powdered sugar. A dark chocolate bar (between 70%-80% cacao), melted, would be the easiest choice. If you do not wish to use chocolate, the vanilla coconut oil icing works and has a subtle, pleasant flavor. It is not smooth though and has a somewhat lumpy appearance. The chocolate coconut frosting is runny and has to be kept frozen. It was my least favorite frosting. My taste testers (a.k.a. my children) agreed. The cake pops themselves were pretty good. The ones that went over really well with my kiddos and the patients in our office were the chocolate covered strawberry, the apple pie, and the spicy chocolate peanut butter. Use the coconut flour cake recipe. Skip the food colors. Follow the directions to mold the cake balls and place the cake pop sticks in them. Stick cake balls in the freezer for 20 minutes. Then dip into melted dark chocolate. Refrigerate. Enjoy! Peanut Butter, Fried Potato, Onion & Mustard Sandwich – Say Whaaat?! Back when my Papa (my grandfather) was a boy, he concocted a special sandwich that looked so gross and seemed so odd that the other school children were curious to try it. One by one, these kids would try his sandwich, and before long, the word had gotten out – “You have got to try this sandwich!” His sandwich quickly became a hit, and soon he was packing extra sandwiches and charging five cents per sandwich. The sandwiches continued to increase in demand, and he eventually bumped up the price to ten cents. This is the story my Granny told me the day I told her about the interesting sandwich I watched my mom eat as I grew up and how disgusting I thought it looked – until I tried it! She proudly beamed, “That is your Papa’s sandwich!” And then told me the tale of how it came to be. 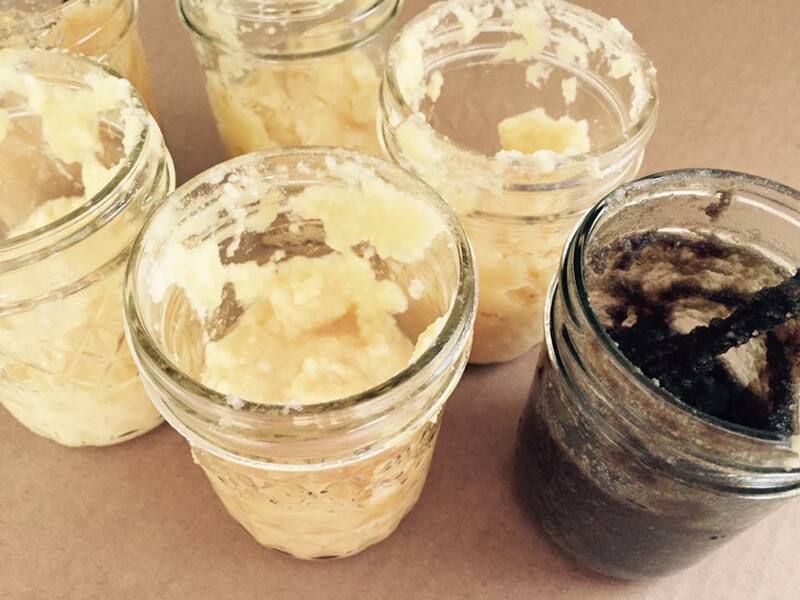 “The order in which you place the ingredients is important … it matters,” she went on. “I know, Granny,” I said. Yes, my mother taught me to make this sandwich exactly as it was taught to her. 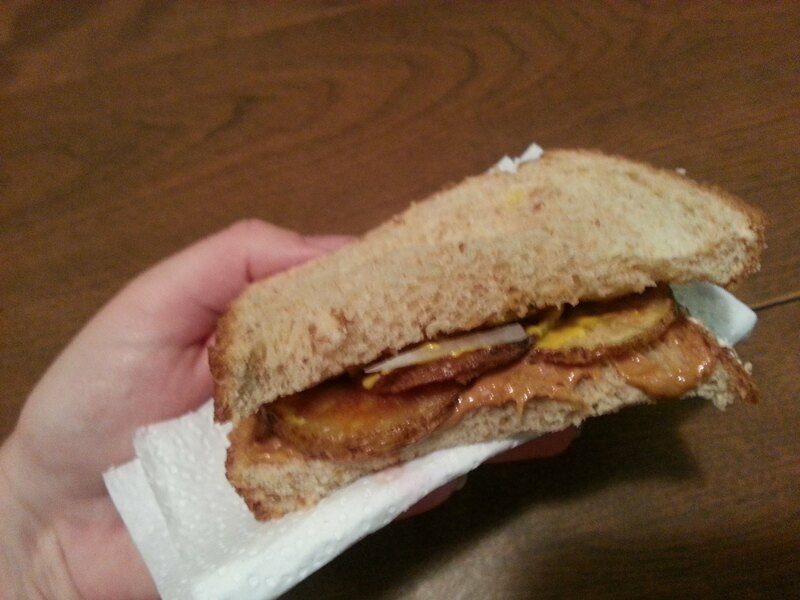 Today, my gift to you is the recipe for my Papa’s interesting, gross-looking, and yet so delicious, sandwich. Slice a potato thin. Heat oil in a skillet, and fry the potato slices until they just barely get crispy around the edges but are still soft too. Get two slices of bread. I’m sure my Papa used white bread when he made this decades ago. I use whole wheat bread because I don’t eat white bread. Spread one slice of bread with peanut butter. I like to be a little generous with the peanut butter. Spread the other slice of bread with yellow mustard. Place hot, fried potato slices on top of peanut butter (use about 8 potato slices). The hot potatoes will slightly melt the peanut butter. Then place thinly sliced, raw onions on top of the potatoes (use about 6 thinly sliced onion rings). Yellow onions or sweet onions will work. I typically use sweet onions in recipes because yellow onions have such potent flavor and scent, BUT yellow onions are really good on this particular sandwich. Top sandwich with mustard spread bread. Now here is the part where I veer from tradition … My Papa would wrap these sandwiches and let them set for an hour, so the flavors would meld together. When I want a sandwich, I want a sandwich, by golly! So I am not going to wait an hour. I enjoy mine right after I make it – while the potatoes are still hot – and it is AMAZING! It’s that time of year again … today, I will be making autumn apple cheesecakes. But it just feels wrong this year … you know, with the temperature being in the upper 80s and lower 90s here in Florida. Autumn is my favorite time of year, but this year, it feels as though autumn is away on a trip somewhere else and won’t be here for the harvest season. 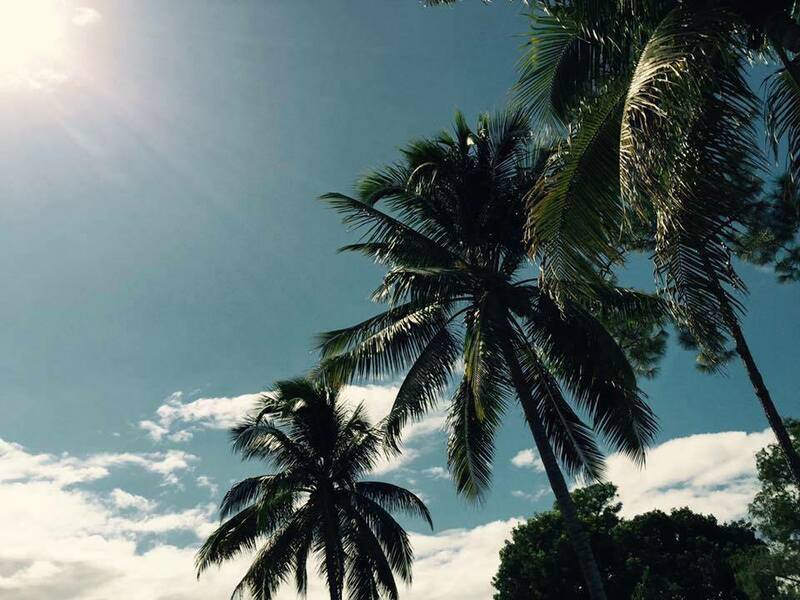 I am trying to adapt to my first autumn in Florida … figuring out how to synchronize autumn traditions and summer weather. I’m thinking we will do pumpkin photos with the kids in our swimsuits on the beach next weekend. Maybe set a mason jar of cider and spices out while we swim, so it will be hot and ready to sip post swim. Perhaps we will rake some pine needles and palm leaves into a giant pile and jump in them when we get home. Yes, jumping in a pile of pine needles sounds like a good idea. But I draw the line at autumn key lime pie. I just can’t do it. So here’s to autumn apple cheesecake and flip-flops! I love cashews … and almonds … and nuts in general, but I don’t love some of the ingredients I have seen on the labels of my favorite store-bought brands (preservatives, vegetable oil, canola oil …). So I started roasting and seasoning my own. Today, I am sharing the recipe for my favorite seasoned nuts – rosemary and smoked sweet paprika roasted cashews. This recipe yields one pound of nuts but can easily be doubled, tripled, or quadrupled to serve at parties or share with friends. 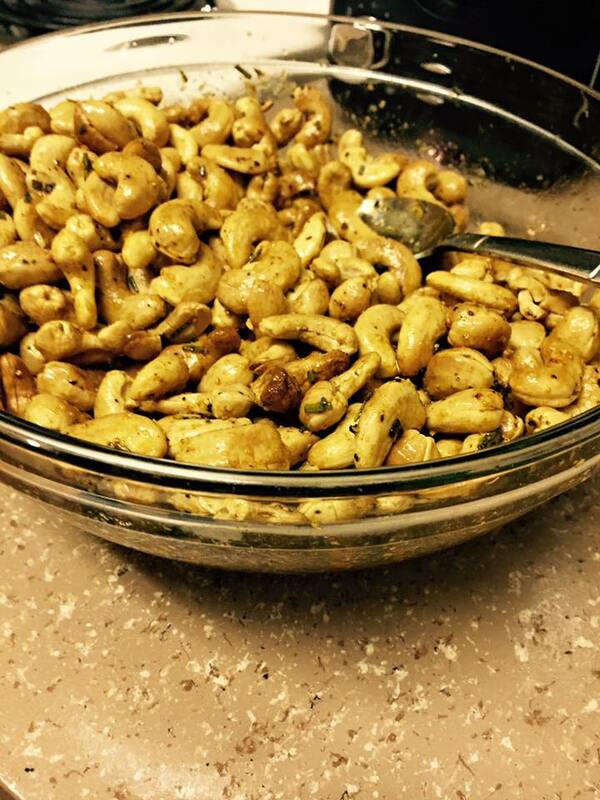 Helpful hint: Up to two pounds of cashews will fit on one baking sheet. 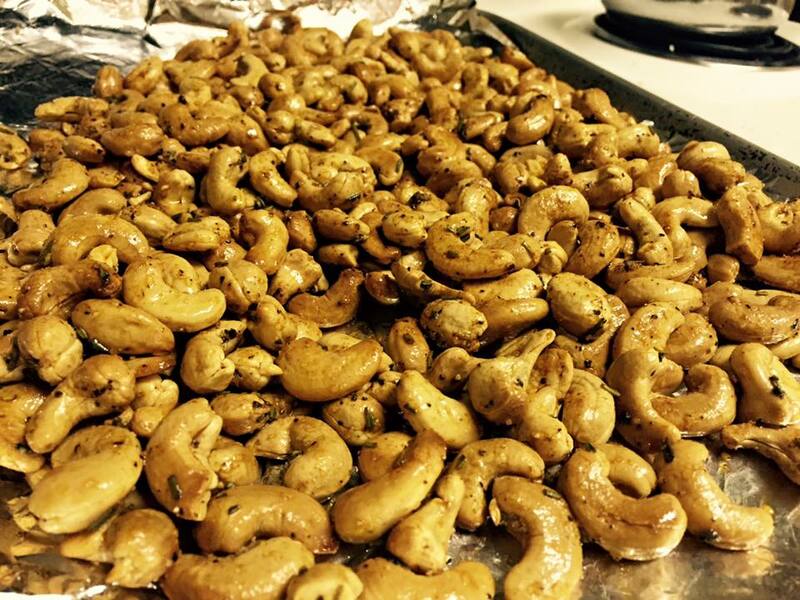 Spread cashews out on a baking sheet (cookie sheet). You can lay parchment paper or foil on baking sheet first to make clean up a little easier. Place pan of cashews on middle oven rack and roast for 12 minutes (or until golden). Then remove from oven and set aside. Melt coconut oil in very small pot or pan until it just reaches liquid state. Then add rosemary, smoked sweet paprika, kosher salt, and cracked black pepper to the coconut oil. Let flavors meld together for one minute over very low heat. Remove coconut oil mixture from burner. 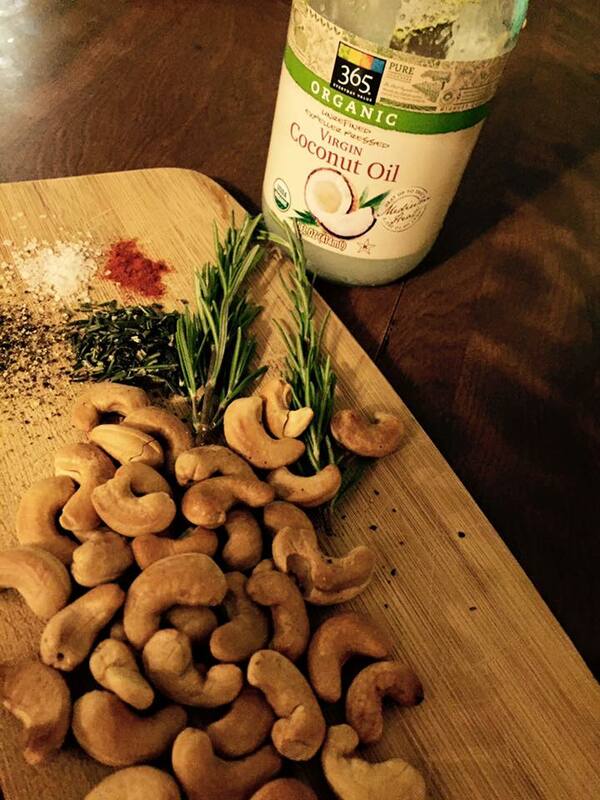 Dump cashews into coconut oil mixture and stir to coat cashews. Spread cashews back on baking sheet and allow to cool. These will be a little messy, so make sure to have napkins handy. Enjoy! Helpful hint: These cashews keep well when stored in a glass jar with an air-tight lid. I re-use the jars pasta sauce and jams come in. I found this old plate rack laying in a pile of junk at a secondhand shop. It was literally thrown in a pile of wooden odds and ends. And I was inspired instantly! 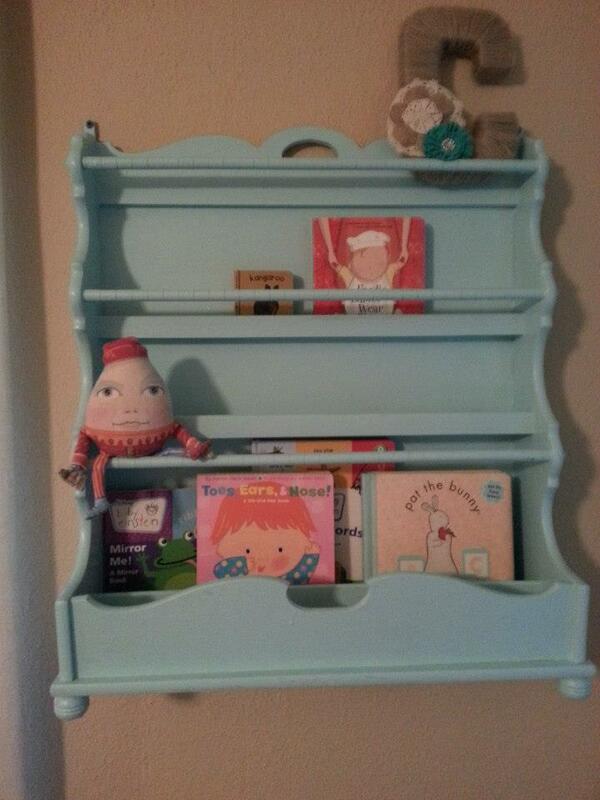 I knew I wanted a place to hold storybooks for Baby C, but I also knew I didn’t want her pulling them all off a bookcase as soon as she was mobile. 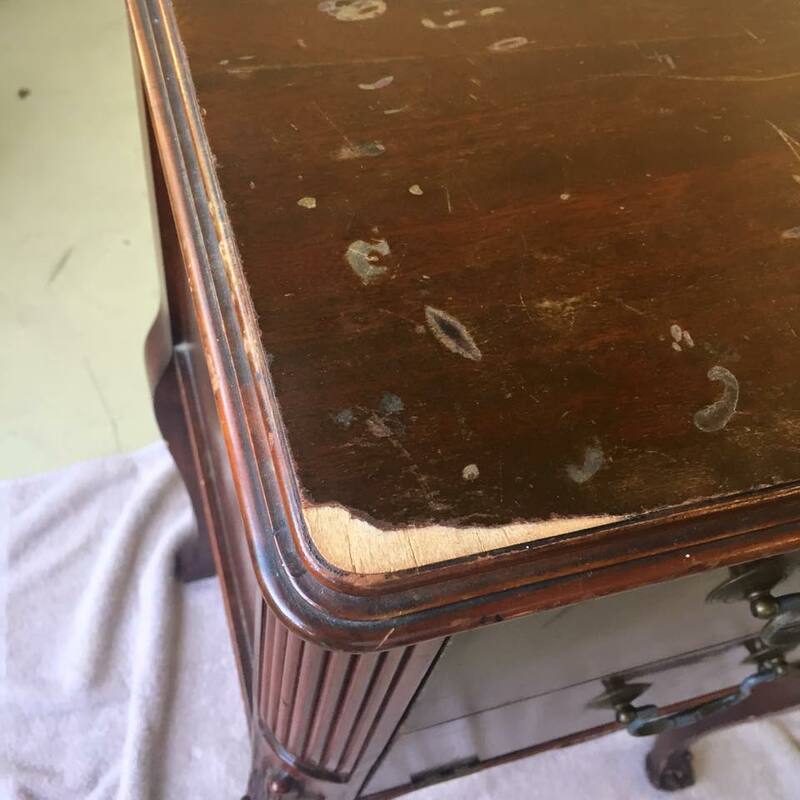 A friend was about to toss out this old end table due to its cosmetic imperfections, but its solid structure and beautiful curves had me at hello. 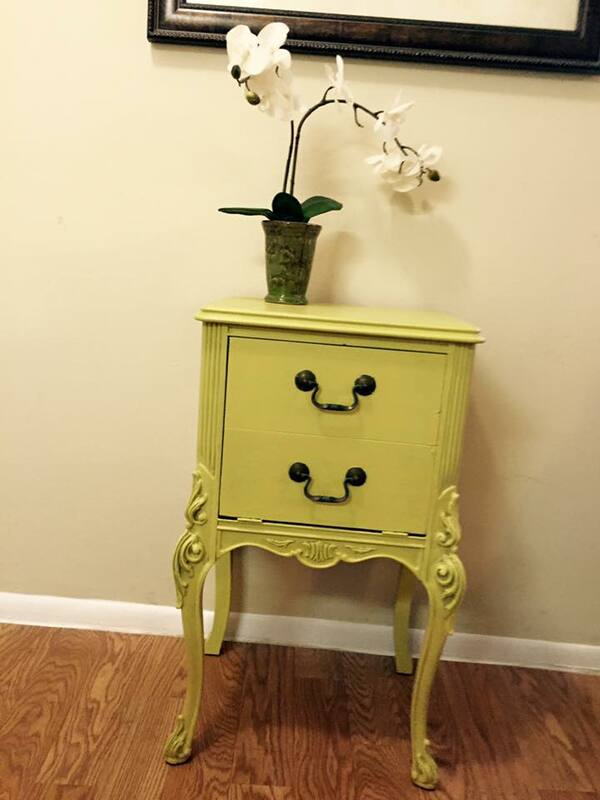 Just a little tlc, and this table was turning heads left and right with its new key lime yellow finish. So much so that it found a new home the day after I refinished it. 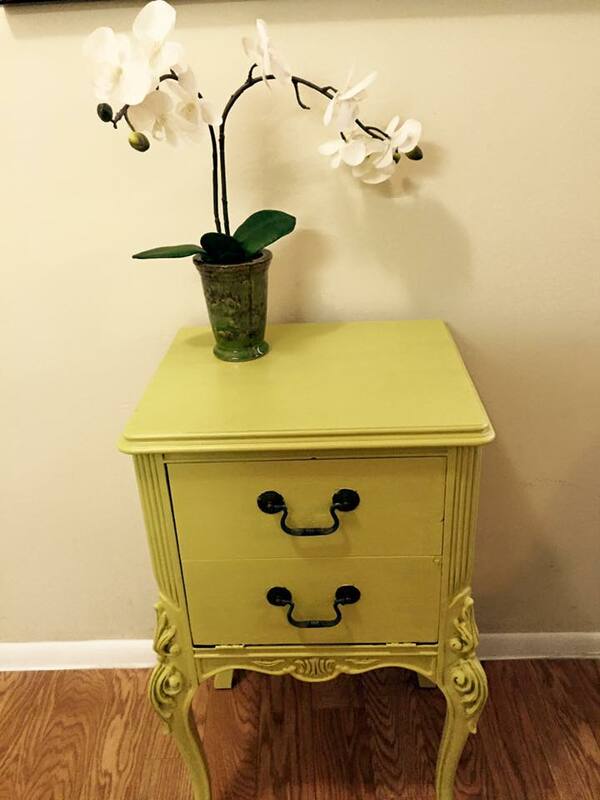 While expecting Baby C, I stumbled upon this changing table/bureau … its paint scheme was so outdated that the crayon drawings all over it were somewhat of an improvement to its overall appearance. But this piece of furniture was solid! So solid that I could not move it an inch in any direction. It took a furniture dolly and the three college guys next door to get it in my house. A good scrub, two coats of paint, new magnetic latches for the doors, new hardware for the cabinets and drawers (not shown in photo), a brand new changing pad, a pretty velour changing pad cover … and good as new! 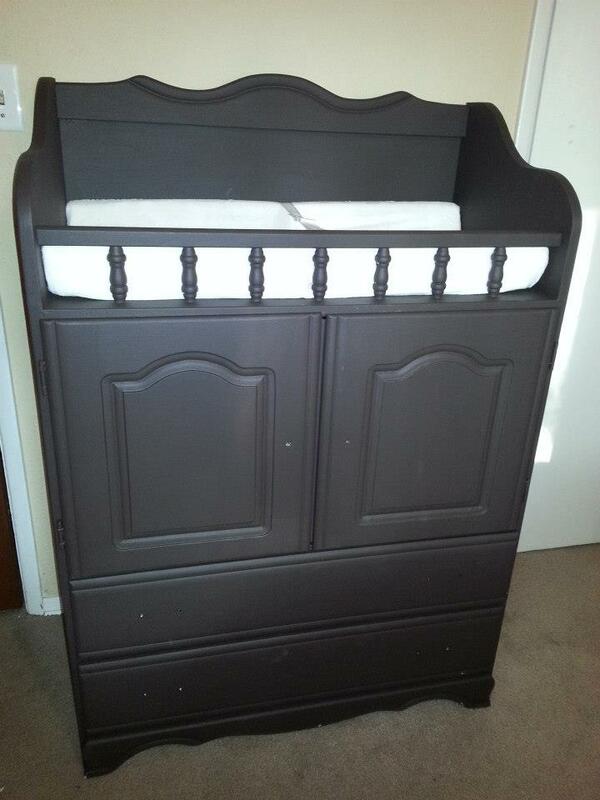 We used this awesome changing table for a little over a year but couldn’t take it with us when we moved to Florida (due to the fact that it was so, so heavy). I did, however, end up selling it for 5x what I paid for the original piece. 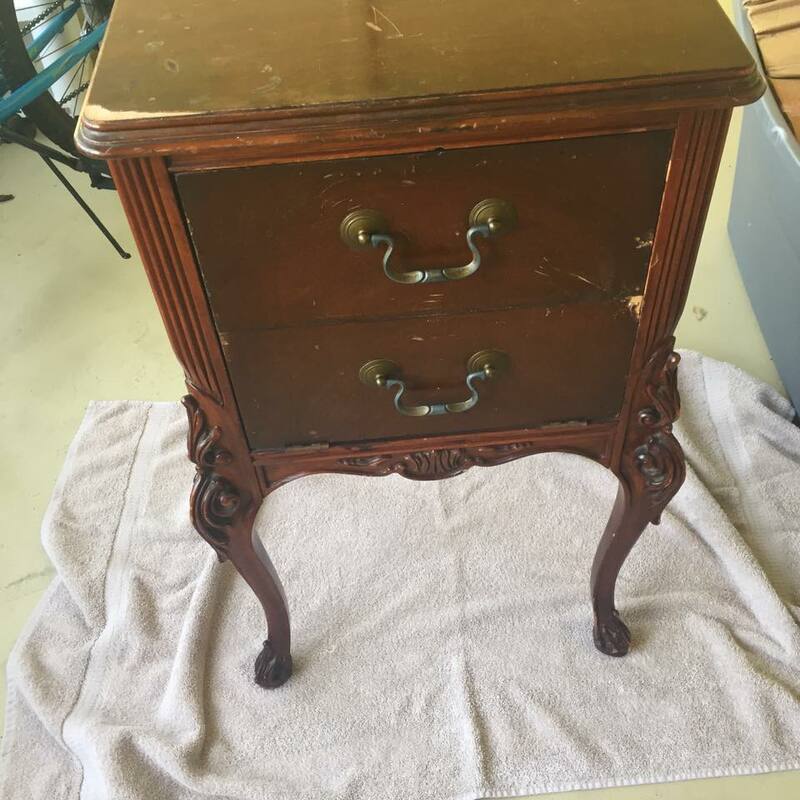 I have an antique vanity my parents purchased at an auction and gave to me when I was a little girl. 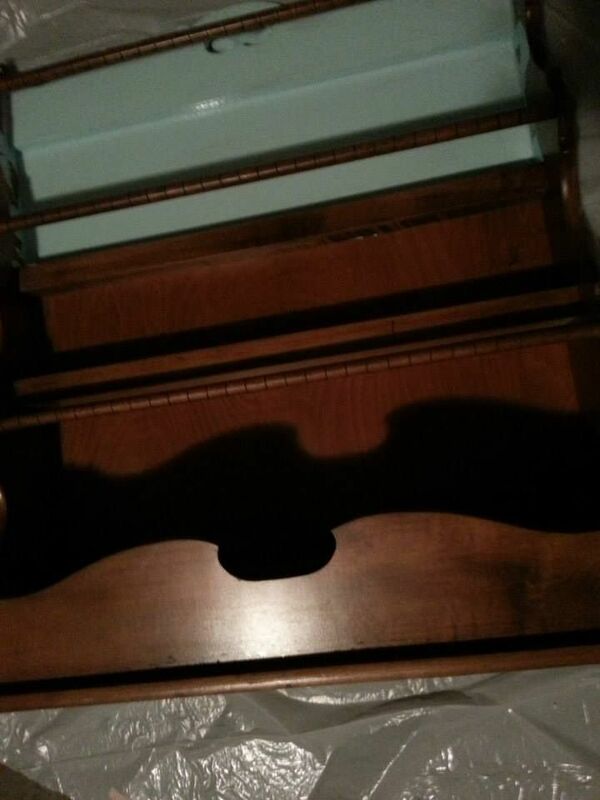 I don’t have a picture on me at the moment to show it to you, but it was made of a medium brown colored wood and had a vanity mirror attached. I spent hours of my girlhood sitting at this vanity … writing poetry, writing letters to my grandparents, trying on makeup, drawing pictures, and discovering who I was. When my older daughter started school, I decided to turn it into a desk for her. I removed the mirror, which I still have stored away, sanded the vanity, and painted it antique white to match her bedroom furniture. 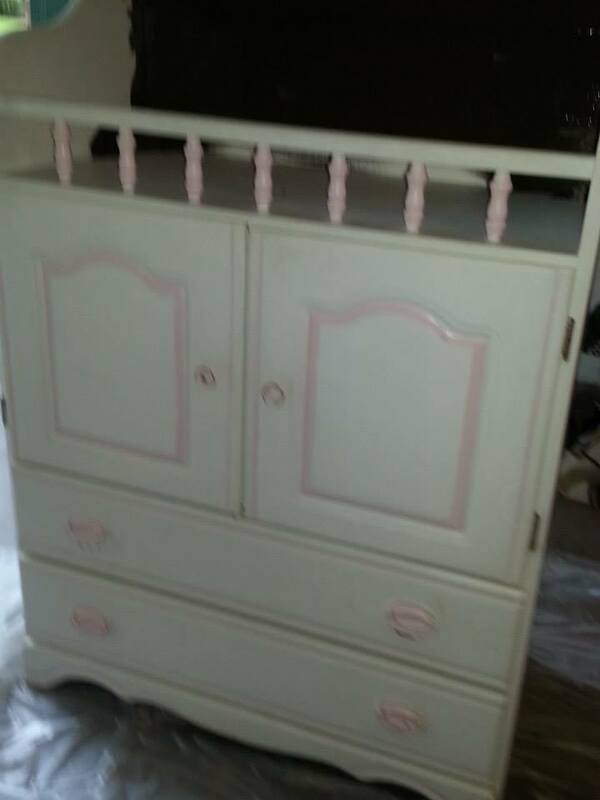 I then drilled holes into its drawers and added pale pink glass knobs to the drawers, which previously had no hardware at all and were difficult to open. The problem with this desk is that the area where a chair would slide under was very narrow – so narrow that it was hard to find a chair that would fit. The one I used as a child was tossed away many years ago. 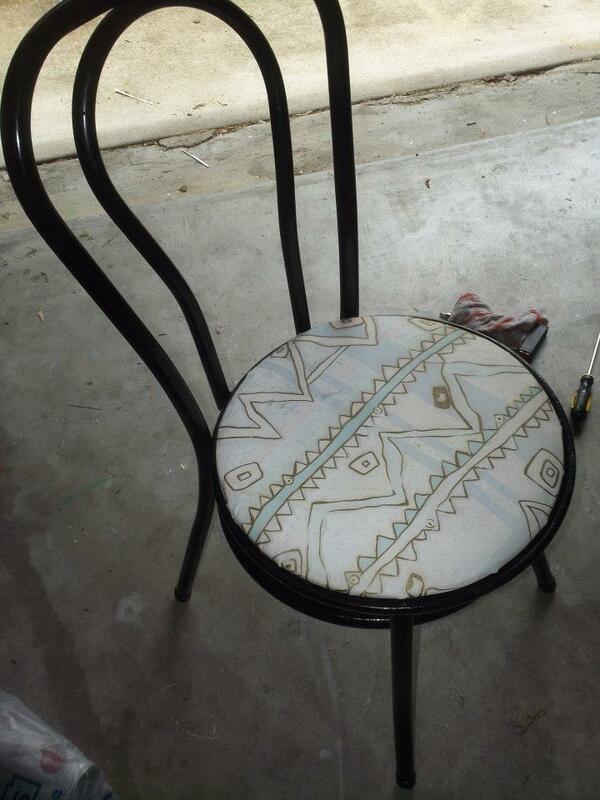 As luck would have it, one day I saw the ugliest chair I had ever seen. It was repulsive. But it was narrow enough to fit the desk! So I tore off the seat, cut a new seat out of birch wood, added batting, and covered it with hot pink satin. Instant win! 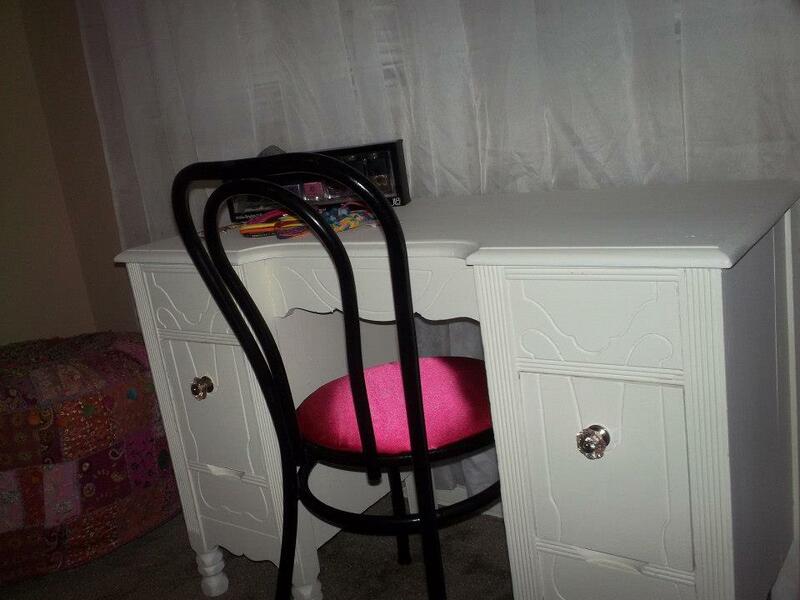 My daughter has been complaining about her homework at this pretty desk for years now. I’m sure this will always be a hobby of mine. 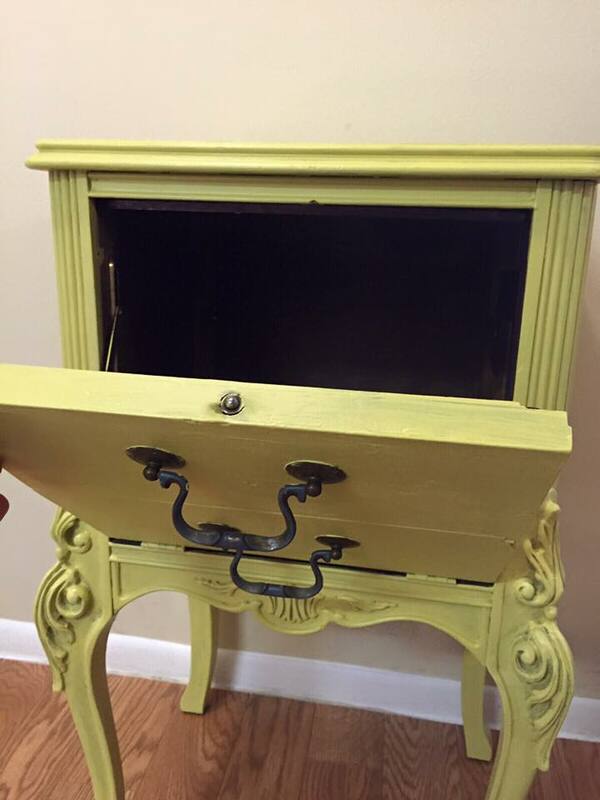 I have daydreamed about opening an eclectic shop full of nothing but refinished furniture and upcycled objects. Someday. But for now, I will continue to surprise my spouse daily with random headboards in the kitchen and table legs on the patio and odd objects “I have plans for”. Hehe. 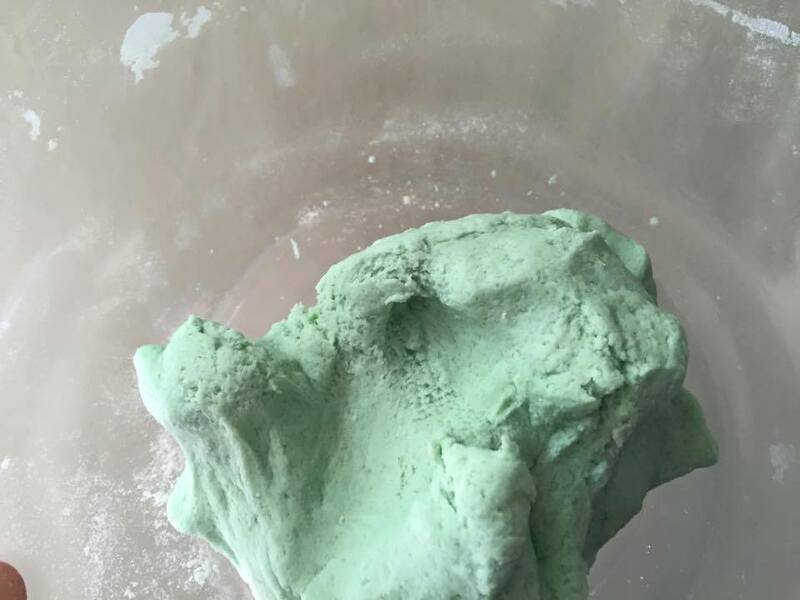 I love how this mint green play dough turned out! I found this play dough recipe on DIYnatural.com and used it to create play dough for Baby C’s Easter basket. We loved it so much that this is now the only play dough recipe we use. 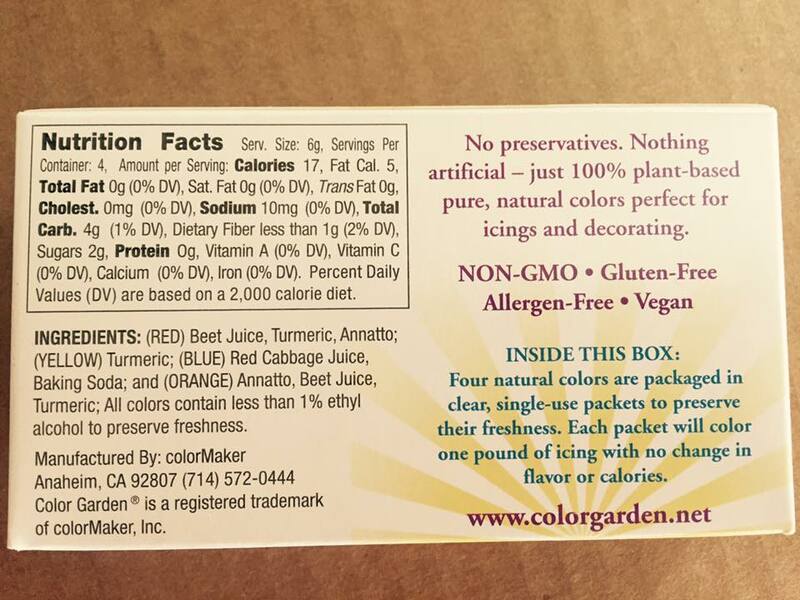 The ingredients are natural, non-toxic, and safe if ingested. The texture is pleasant – soft, pliable, and not sticky. And – it is easy to make! The recipe for this play dough can be found HERE. 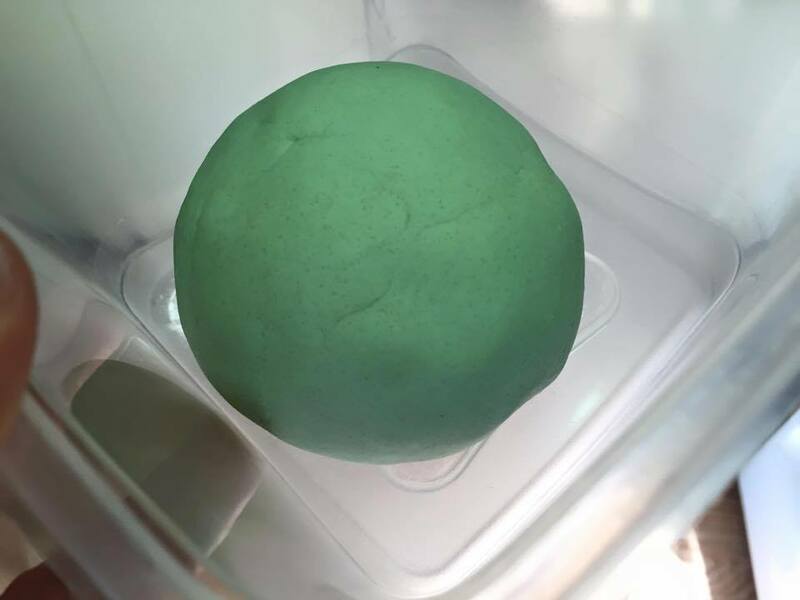 I made our play dough using organic unbleached flour, sea salt, water, & natural food coloring. 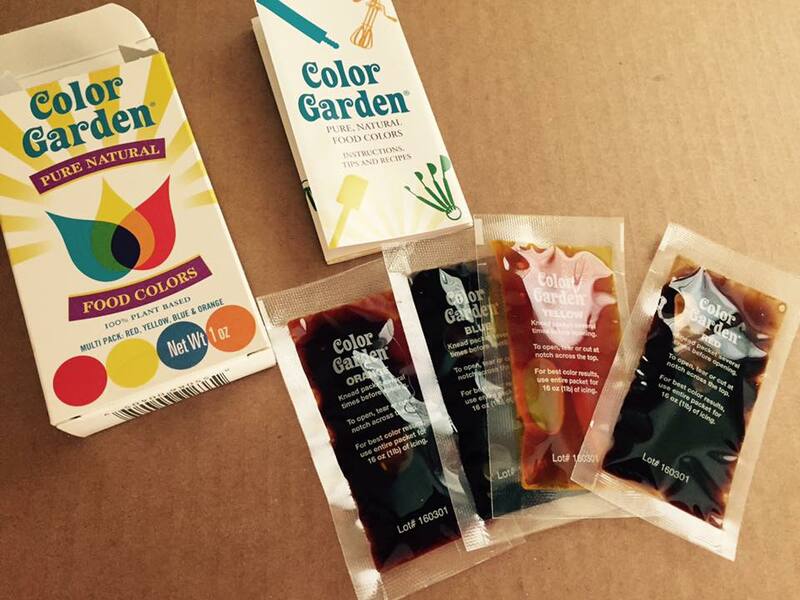 You can also make your own food coloring using vegetable peels. Like the author of the recipe sited above, I used India Tree colors (food coloring made from vegetable colorants – can be purchased online). It was January 2013, and I was on my way to see my parents and pick up my children, who had been visiting them for a couple of weeks. I made an appointment with a car dealership to get my defective airbag recall taken care of along the way. This new stopping point on my trip caused my GPS to reroute the trip, and soon I found myself on an old highway in a town I had never been in. During this time, I asked God to take control. I asked God to help me through this. I asked God to protect my children and to take care of them and to make sure they turned out okay no matter what happened. I asked God to spare my life for their sake. I asked God to give me the opportunity to be here for them longer, to be their mother longer, to raise them. I need to be there for them. Please – I don’t want them to have to experience this kind of pain. I prayed so hard. I prayed for my children – the only thing on my mind as I prepared for what could be the end of my life. Please, I know I’m not in control of this anymore – please protect them and make sure they are alright. Please, please, please! Please get me through this. Please protect them. Please guide them. Please, God, please let me see them again! And the car collided with ground and rolled forever it seemed – like a bad carnival ride – upside down, right side up, upside down, right side up, over and over. When will this stop? How will it end? And it stops. Upside down. And I am still here. I am still here! Thank you, God! I can’t believe I’m still here! I have to figure out what to do next. I wonder where I am. Is my car about to get hit? Is it over? Can I reach my seat belt? Yes, I can! Find the door. No, it won’t open! This is the ceiling of my car. I am crawling on the ceiling. Where is my phone? What if I can’t get to it? What if I am stuck in here?! What if no one can find me?! Shards everywhere. Crushed car. Purse empty and contents strewn about. There is my phone. It works. 9-1-1 What is your emergency? And there are sounds outside, “Ma’am – ma’am, are you ok? Can you hear us?” Yes, I can hear. Get me out please. The door is stuck. The car is crushed. Several men, strangers to this day, passing by on their way to work, turned their vehicles around to come find me. There they were, outside my car, working together to get me out. I thanked them multiple times and wonder to this day if they know how grateful I really am. The truck driver who was in the 18 wheeler – he is there. He wraps his arms around me and embraces me tightly the moment I exit the vehicle and holds me as I sob and apologize profusely. He cries too and seems to be just as shaken up as I am. Once I have calmed, he tells me the story of how I came to be in that field I was so fortunate to land in. My tire blew out, and after wobbling all over the highway, my car veered sharply to the right. He hit his brakes hard, slowing down his 18 wheeler as fast as he could, missing my vehicle by seconds. My SUV flew off the highway, over a ditch, through a thicket of trees, through a chain link fence, and rolled (I counted at least 4 times) before stopping upside down in the middle of a large farm field. My recalled airbags never deployed, but I think that was a good thing in this particular event. My heart had been through a lot, but my body – not so much as a scratch. No broken bones. No bruises. No concussion. Just a new perspective, a newfound appreciation of life, and a very deep gratitude for the opportunity I have to be here with my children. Two months later, I conceived a third child. I’m not sure why I walked away from that accident that day. But I know I am blessed to be here. I believe I have more work to do in this life. I believe I was supposed to bring another life into this world, and I believe I am going to play a part in something much bigger than myself that is still yet to come. And that is what I call a God moment. That moment when one is reminded of the sacredness of life. That moment when one realizes they are here to do more than merely exist. I believe we are all here to do more than merely exist. But that moment we realize that – that is our God moment.